People who like cross-border shopping know that when they buy products from overseas and ship them back home, they have to deal with logistics problems. Choosing the right logistics method is a difficult task. Choosing the right logistics service provider can help reduce time tracking logistics, avoid product damage and other problems encountered during product delivery, and make delivery speed greatly improved. This article makes a detailed comparison between international postal and international courier, listing the pros and cons of the two service providers. After reading it, you can easily cross-border shop! What is a postal service? Each country provides public postal service, a social service operated by the state. In the United States, for example, postal services (e.g. 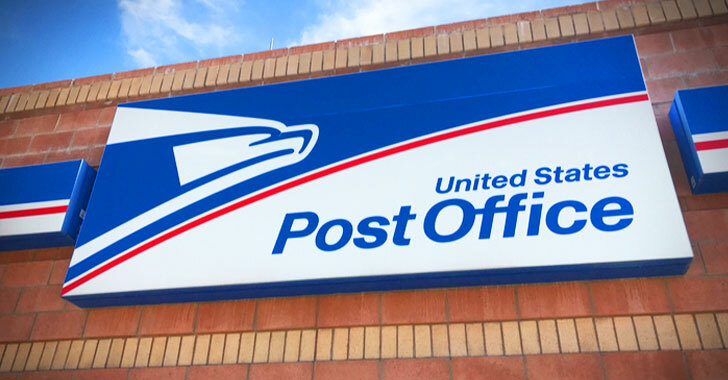 USPS and Royal Mail) are usually monopolized by the state, and postal companies provide parcel and mail mailing service. Postal services can be divided into local delivery and international delivery. Local service is applied to citizens and its cost is low. The place of delivery of parcels or letters is often the local community. A private company offers courier service and has a worldwide express network. In the United States, for example, private companies include DHL, FedEx, iPostParcels, and DX Delivery. The international courier service provided by private companies offers shorter delivery time. Differences Between International Post vs International Courier? If regular mail or parcels are sent via postal service, there is generally no package tracking. The price of postal delivery is usually lower, and rarely the postal provider will contact customers. However, the current postal service supports parcel registration. Its difference from regular mail is that it can be tracked by courier number. Customers can choose, by the postal service, mail, airmail, express delivery, freight shipping, etc. Depending on different types of courier services provided by the postal company, the tracking ability and delivery date of the parcel are different. If the customer sends a parcel that requires shipping from the country of origin, the post generally only tracks the parcels in the country and cannot be queried after leaving the country. On the other hand, the express delivery service is provided by a private logistics service company. The logistics network is widely distributed. The main advantage is that the delivery speed is faster than the postal service. The whole delivery process is more efficient than the postal service. The service provided by the express delivery includes parcel tracking, parcel consolidation, telephone notice, insurance compensation, etc. Customers can also choose an express delivery method: convenience store pick-up, self-collection at the parcel locker, warehouse pick-up, doorstep delivery, flexible and convenient, and saving time. How to choose International post or international courier? Because the international express delivery efficiency is relatively higher, customers can receive parcels faster, track parcels, and if the parcels are lost, you can get the compensation on the official website according to the number provided by the courier company. But more comprehensive service also means that the price is higher than the international post. In contrast, the postal service mainly serves local citizens. Its domestic transportation price is very cheap, but its service is relatively simple. If the parcel is lost, Its customer service may not be able to handle it in a short time. The transportation of goods for cross-border shopping generally takes a while, and the faster express delivery company can reach the local within 7 days. The general delivery time will be indicated on the official website. Private courier companies generally have logistics partners. The goods will be sent to the destination country in two or three days so the time can be more accurately estimated, but the international parcels delivered by the postal service cannot accurately predict the time. If a package needs to be received as soon as possible, the courier service is more aligned with customer requirements. The tracking function of the package is especially important when transporting goods across borders. If you use the postal service to send a letter or parcel, you can generally only track logistics in your country. In opposite, the courier service can track the entire process from the start to the destination. The tracking of postal services is the responsibility of the service of the respective country, but it is difficult to obtain notification when the parcel is lost or intercepted by the custom. The courier service will track the package location, update the information, and save the communication time between customers and the logistics company. Postal service is usually based inside the country. Even if the address shows a remote area, the post can reach it. On the other hand, express delivery service is more advantageous when transporting goods across borders. Privately operated courier companies usually have their own delivery teams or cooperate with air cargo providers to deliver a wider range of coverage than postal services. When shopping across borders, many customers not only buy one item. So the consolidation service and repackaging service are essential for customers who want to save money. As for how much money can be saved by consolidation and repackaging, you can refer to Detailed Comparison of 3 International Shipping Methods: Direct ship VS Parcel Forwarder VS Concierge Service. Postal service companies usually do not provide these two services. If the customer purchases multiple items, they’d better choose a courier service.